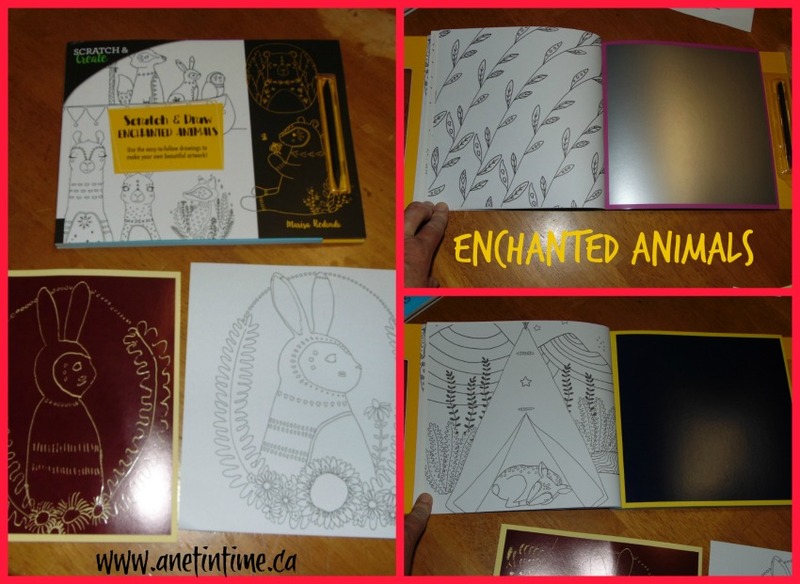 I have reviewed Scratch and Draw books before, and when Scratch & Draw Enchanted Animals arrived I thought I knew what I was getting. I have to say, I was delighted to be proven wrong. 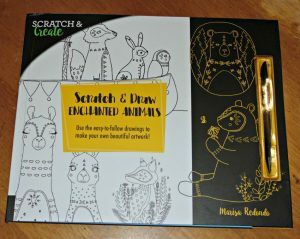 This Scratch and Draw book is different from any others that I have ever used before. It is. 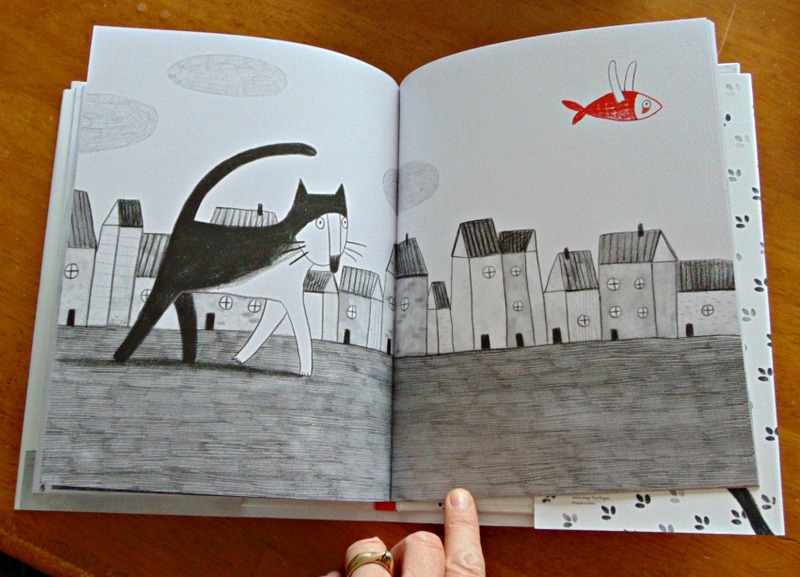 It’s actually a pretty cool book and I just have to tell you about it. 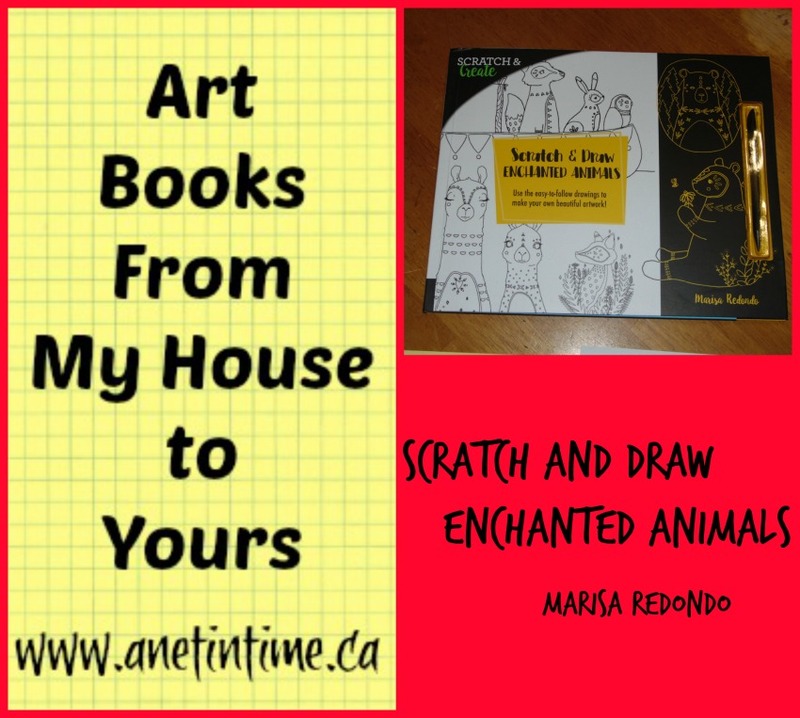 In Scratch & Draw Enchanted Animals you get a book filled with 20 easy to follow designs to make your own beautiful, scratched out art work. 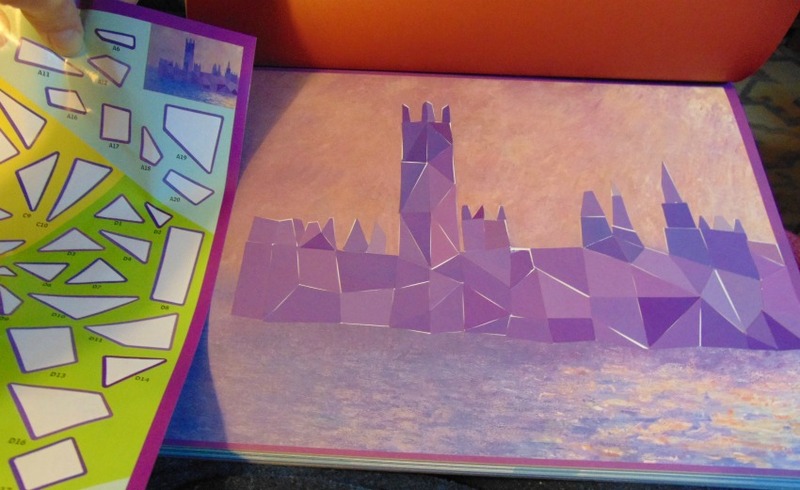 Each design comes with a scratch paper of it’s own in colours such as silver, gold, burgundy, and black. 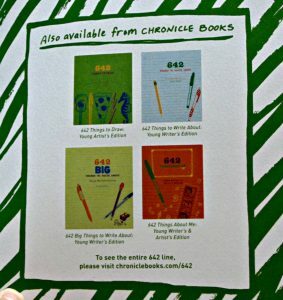 The cover of the book promises they are easy to follow and they are! 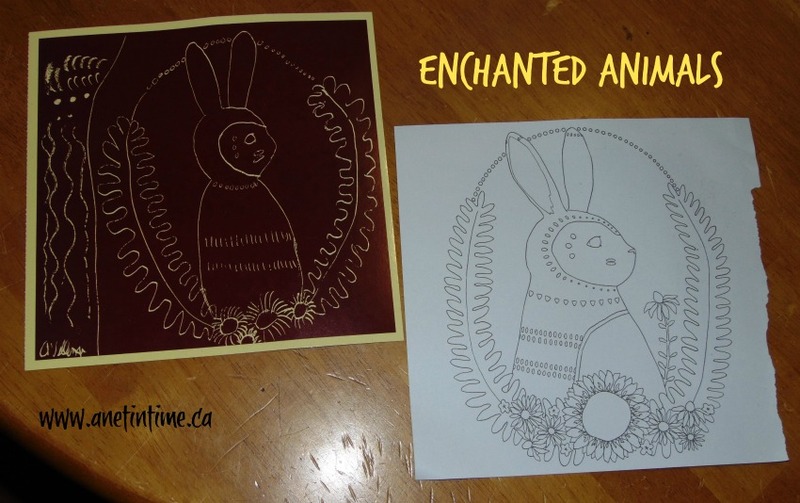 ME… non-artistic me! I was able to mostly replicate a drawing. 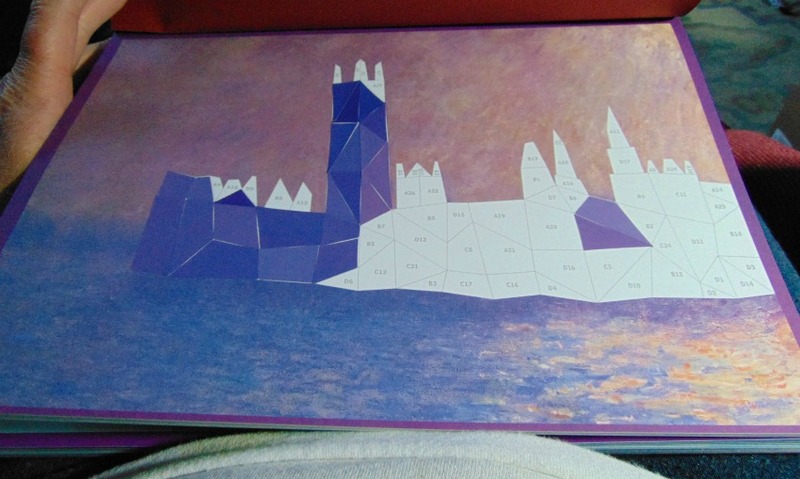 Even my artistic lad said “good job mom, you only needed to bring that part out a bit more, and why didn’t you do the ears right?” But otherwise, I apparently did a good job. 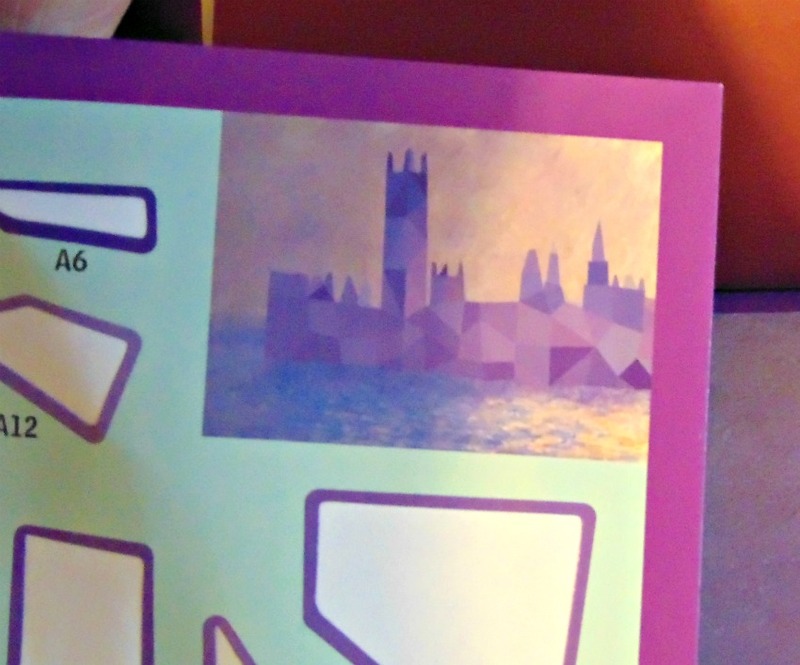 Easy enough to replicate and if I wanted to, I could have changed it (at least the ear part). 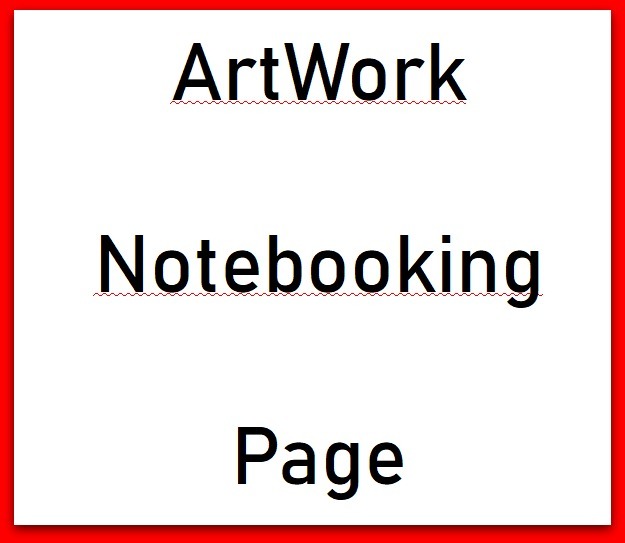 I did use a side of the page to play around with different strokes I could make with the tool. Oh yes, each book comes with it’s own tool. It’s a solid plastic tool with a pointy end and flat broad end. I found that it fit into my hand nicely and did the job smoothly, like holding a pen or pencil in my hand. 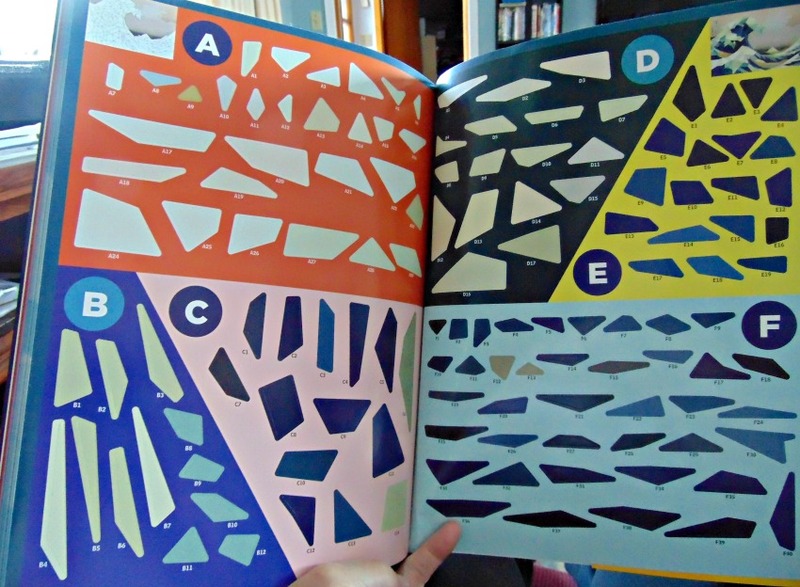 I love the variety in the designs and the page colours. 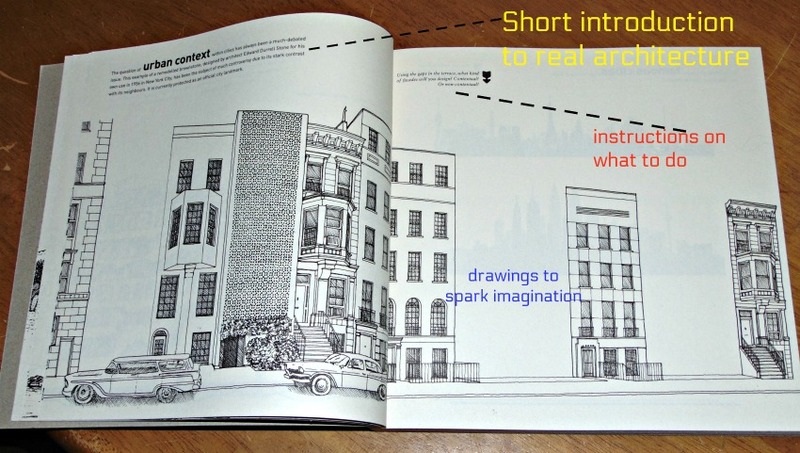 They are what is promised “easy-to-follow drawings”. 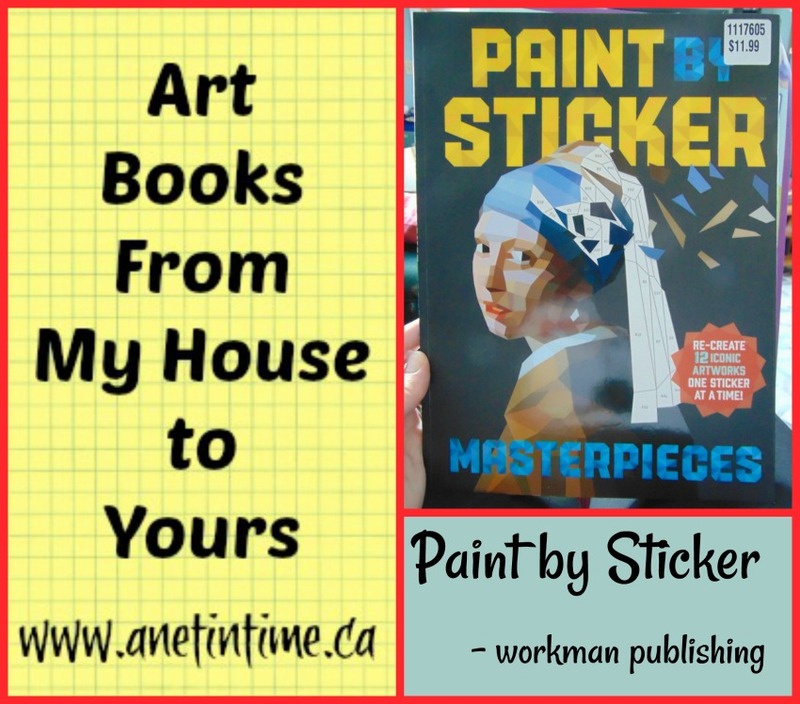 Easy to replicate, easy to change to suit your own creativity, easy to work with (the stylus worked smoothly), and easy to remove for display purposes. 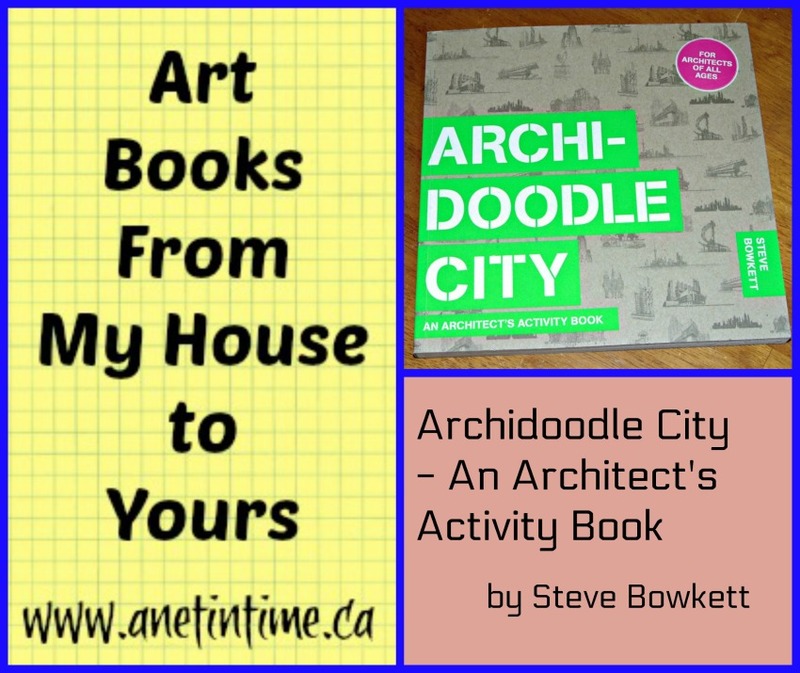 This is just a lovely book for anyone to sit down with to unwind after a busy day, to take along on a trip or to just spend some time being creative with. 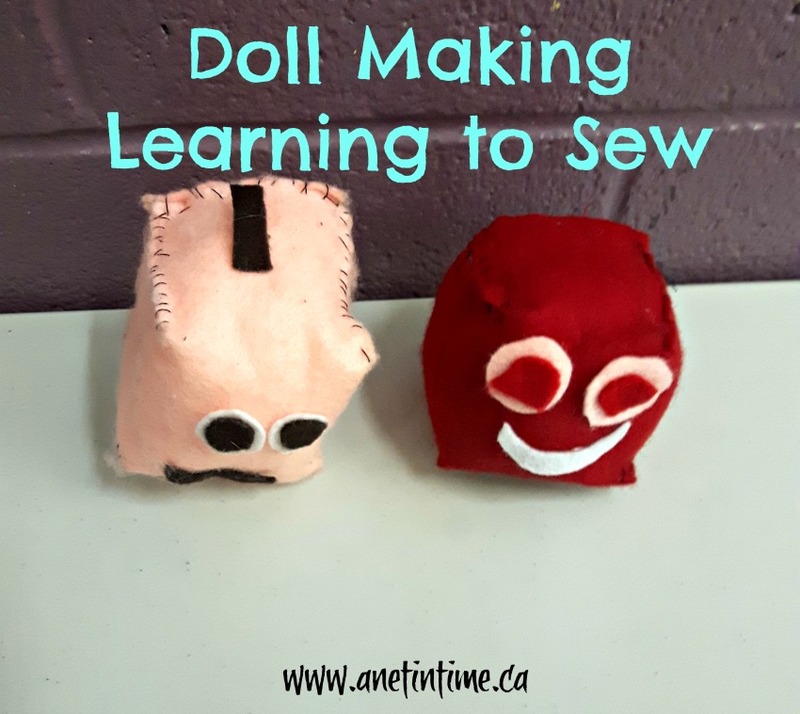 Do you remember I did a class on making dolls? We had a lot of fun though admittedly we did the class differently than I had planned. You see my kids wanted to learn how to sew. This wasn’t on my agenda at all. I remember teaching my son to sew and thought two kids, sewing.. NOT. But they really, really (to the extent of begging) wanted to learn so I bite the bullet. I have to admit, the hardest part was trying to make sure Dad wasn’t helping their lad too much. “Let him do it himself I kept instructing!”. The children had fun learning to make a simple block stuffy, giving them their own personalities and colour. The final day I gave them three different options for what to make. Paper dolls, Topsy-turvy dolls or Clothespin dolls. Know what they both chose? 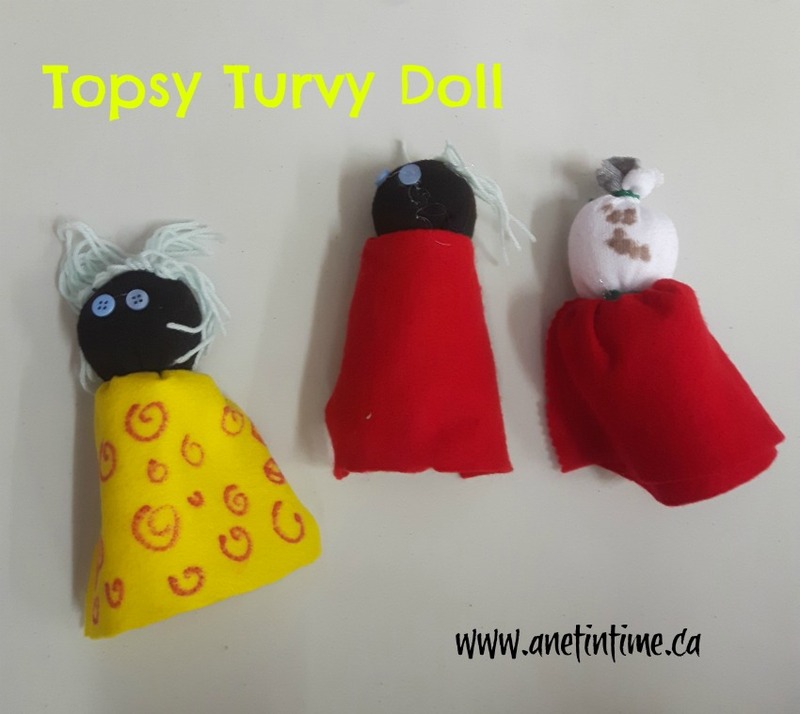 Topsy Turvy dolls! What fun! And easy enough to make. 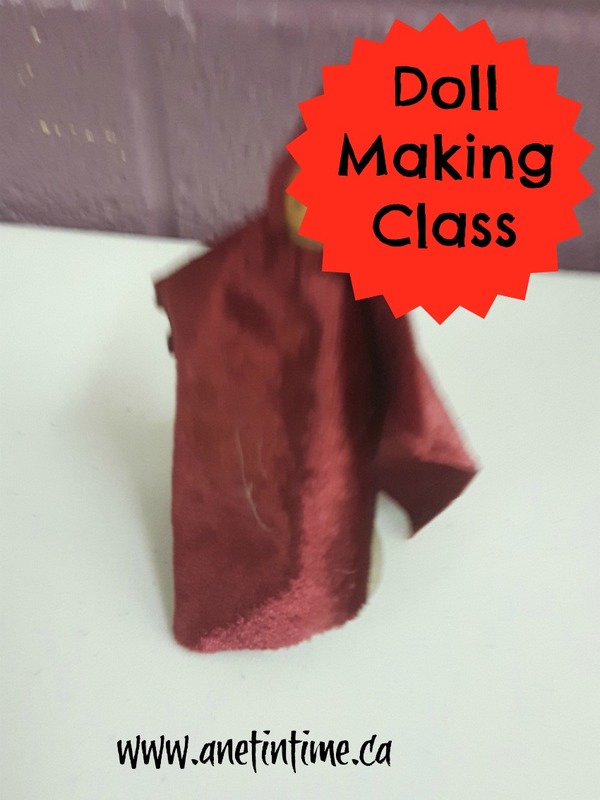 Take a sock (like you are going to make a snow man doll) but instead you make a face on both sides and give the doll a cape to you can show which side is up. Let’s see what else did we make. 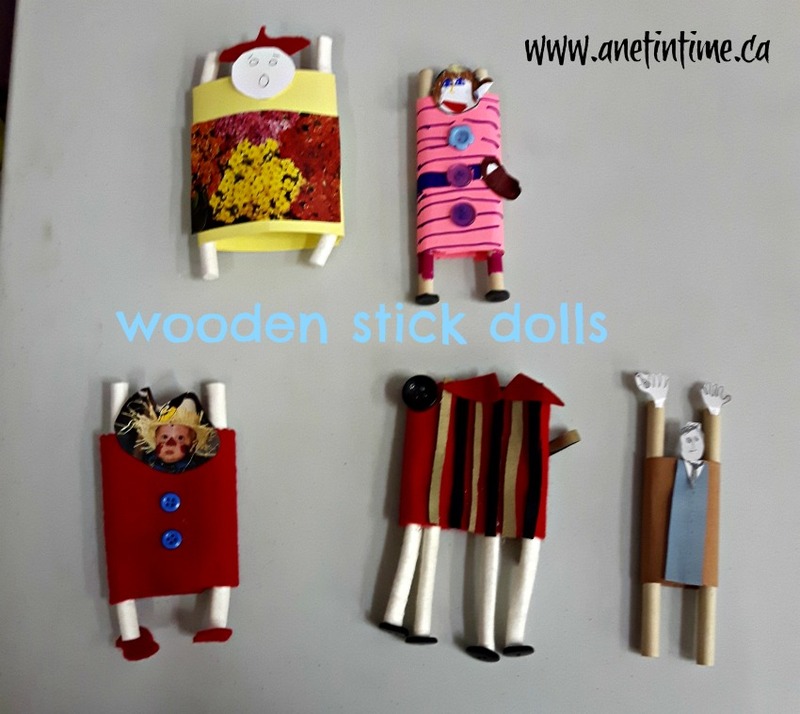 OH.. the wooden stick dolls. Which well.. we didn’t use wooden sticks from trees (like we were supposed to) I had long white things (surgical supply I think) and dowels, it was great letting the children decide which they wanted to use, and we had fun being creative! One child decided he wanted to make a cat! The other did a doll with a striped dress. My son did “Dr. Who”. My goal is to teach this class (or another like it) to a different group of children. I am hopeful to do that this summer. 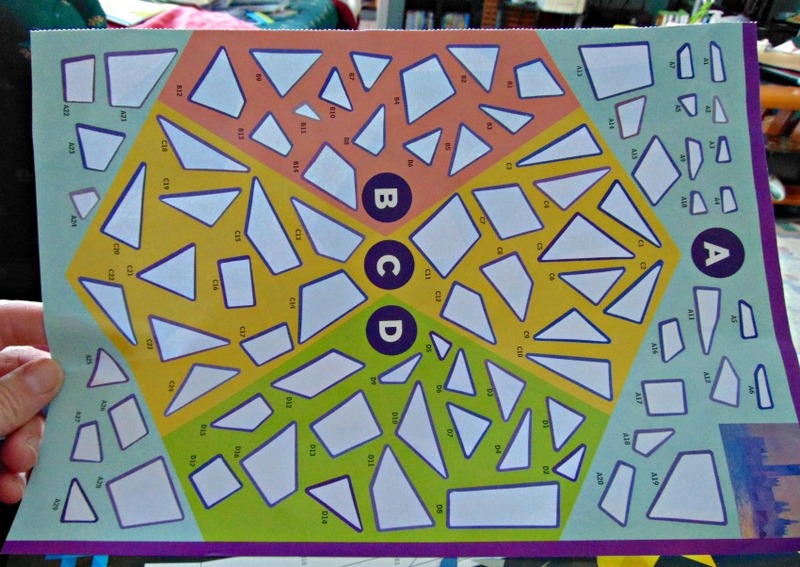 Would be fun to teach it again…it was a great class to do. 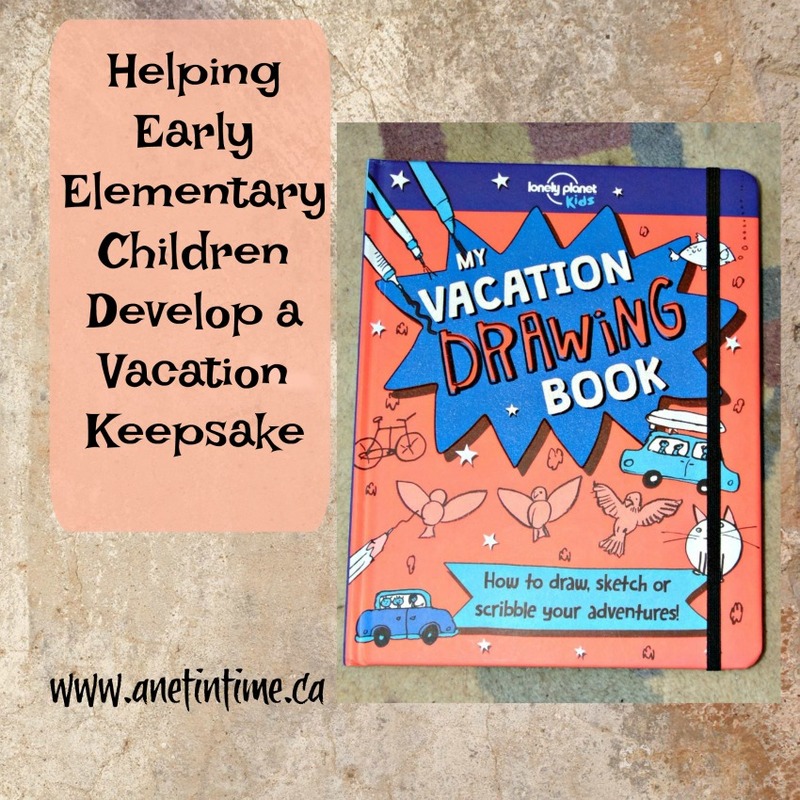 My Vacation Drawing Book is a great book to take along with you on your vacation. 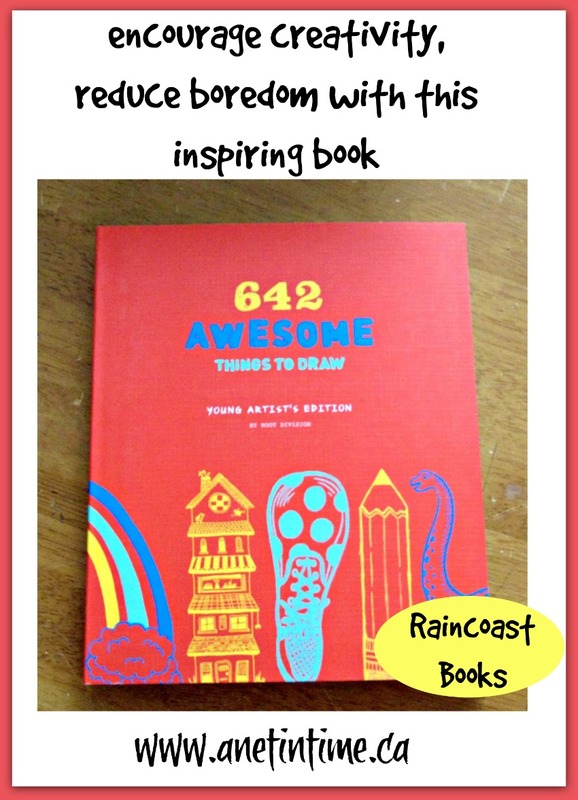 Geared for 5-8 year olds, this is a creative book that introduces art elements around the theme of going on vacation. Imagine being able to design your own menu, or draw some of the scenery before you as you go down the road. 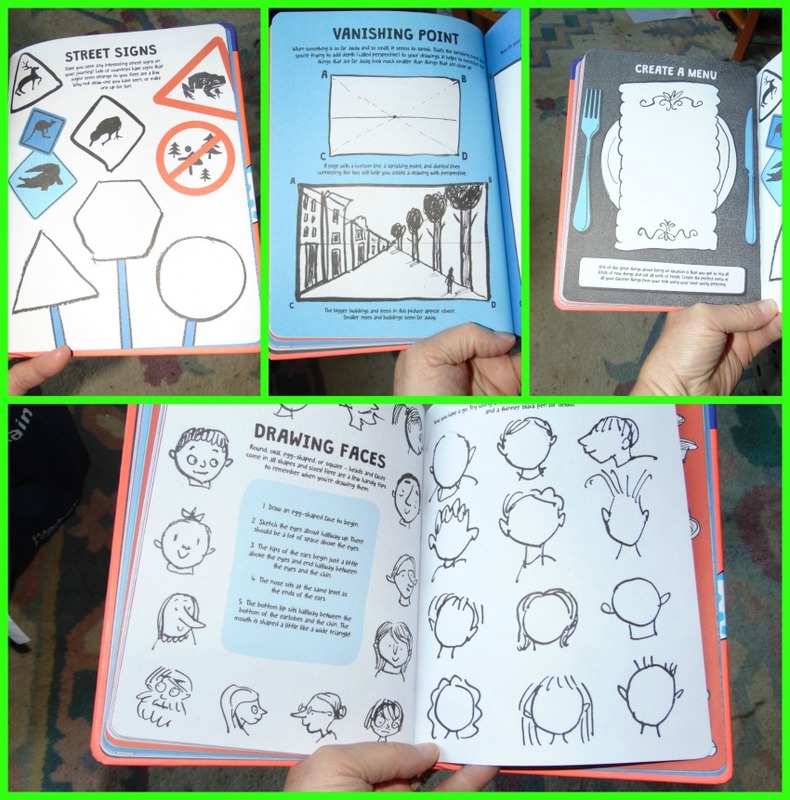 What about learning to draw some of the interesting animals you will see? 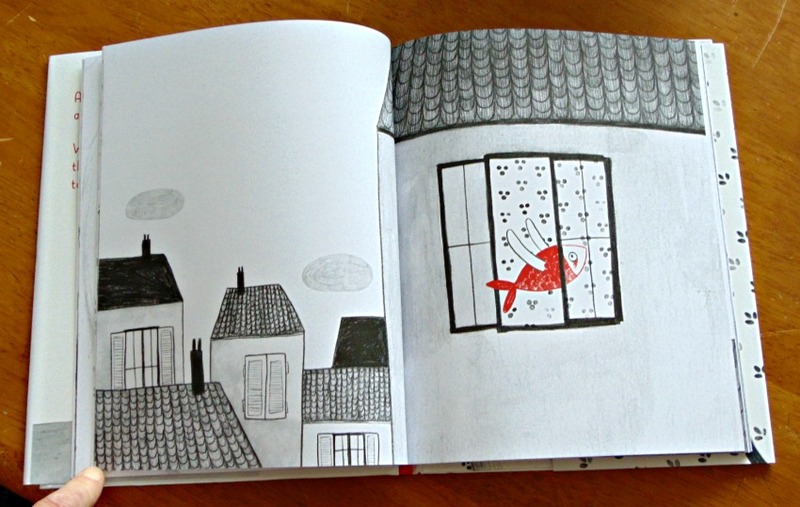 Do you know how to draw a bird, or how to turn a box into something new and fun? Staying in a tent? A trailer or a Resort? Wouldn’t it be fun to draw it and see what you can add? How about making a sign post of all the interesting places you will go? 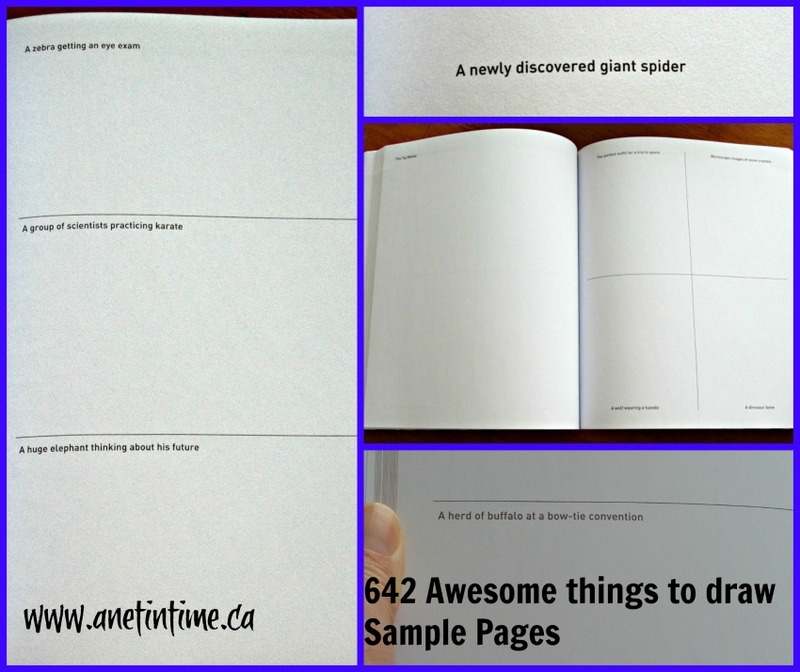 Ideas like these and more fill the 72 pages of this hardcover book. 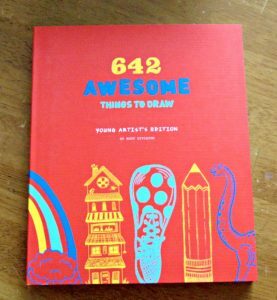 Coming with an elastic band as a placeholder, this book is built to stand the rigors of an early elementary student hauling it with them on their travels. 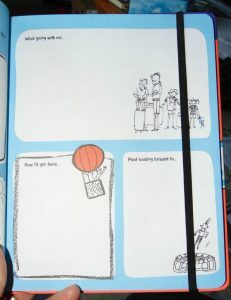 I loved the space given on each page as well as the variety of activities provided. Lessons are taught using simple lines that children can easily copy, and yet I found the children are pushed a bit to become better at what they are doing (like practicing where to put the horizons, and working with vanishing points). 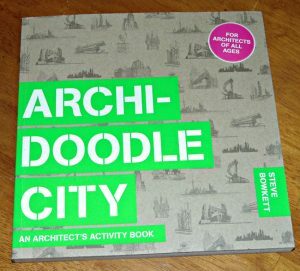 All in all I found this book to be a well designed one that many children would delight in working through, giving them a keep sake to remember their vacation with. The only page I wish could have been made different was one where they were asked to add captions to images. 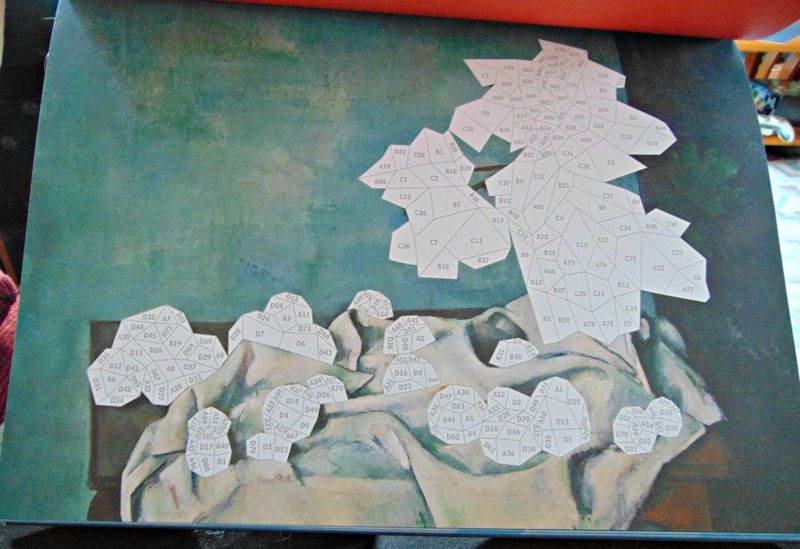 The space for captions was too small for children of this age bracket to write in. Asking Mom or Dad for help would solved this problem. 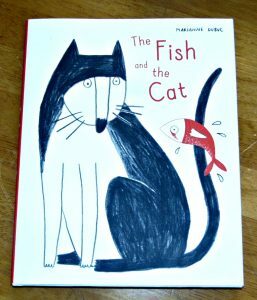 This is a nice book that I would have no problem giving any child. 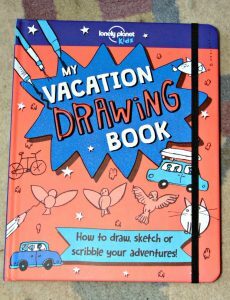 My Vacation Drawing Book: How to draw, sketch or scribble your adventures.